So is this a good idea? It’s hard to say. On the one hand, I personally think it’s fantastic that the Prime Minister of Australia is advocating modern communications tools like Slack. Slack is an absolutely fantastic tool for teams, and I know many organisations which are addicted to using it to communicate internally. It truly is a next-generation platform for communication. However, at the same time, I am personally familiar with the inner workings of political parties. And I have to say that there is much about Slack that would not work well in a Cabinet-style organisational system. For starters, Slack provides a complete audit trail of conversations, which most politicians and even many political staffers would not want in terms of their highly confidential discussions. It’s hosted offshore, not in Australia, and it’s been hacked before. Then, too, Cabinet Ministers are essentially chief executive-level figures. They suffer a huge degree of information overload, and I’m really not sure that Slack would help such high-level figures communicate better or manage that information overload. Slack tends to work best as a tool for teams — but the Cabinet is not really a team per se. It’s a group of powerful people coming together to make decisions, then returning back to their high-level responsibilities. Slack tends to work better for workers below the CEO level, in my opinion — not the executives right at the top. When it comes to Ministers and CEOs, they tend to prefer to communicate with each other in person in short, intense verbal bursts. That tends to be the way that trust works between these high-level figures. I think most would find a system such as Slack not quite suitable for their needs. Perhaps this situation might change as the new generation of younger MPs comes up through the ranks, but I’m not personally sure that it would. However, I’d be interested to hear your thoughts on this: Do you think Slack would be an appropriate tool for the Federal Cabinet? Why or why not? Could Turnbull truly become the “Earl” of Wentworth? So, if I’ve found the right Slack on Google, it’s a cloud hosted product. Turnbull is happy to have all sorts of parliamentary communications hosted on servers go only knows where by a company answerable to whoever comes knocking with the right piece of paper? When I saw the headline I was thinking: Turnbull is getting the cabinet to use slackware Linux?? All the penguins of the world would have done a Happy Feet dance. I don’t think Mr Turnbull, savvy as he may be, would know where to start with Slackware Linux. And I doubt the rest of them, perhaps apart from Fifield, would have even heard of Linux. Besides.. can you see any of them converting to The Church of the SubGenius? > can you see any of them converting to The Church of the SubGenius? Not until today. But clearly Turnbull has, so maybe there are more surprises to come. Work pay for slack and I’m eyeing mattermost. So let me get this right …. Malcolm Turnbull would like some of our parliamentary communications stored on servers that fall under US jurisdiction … and where the Attorney General of the US can direct …. …. to intercept Australia’s parliament communications without even telling Australia. Am I reading this right? 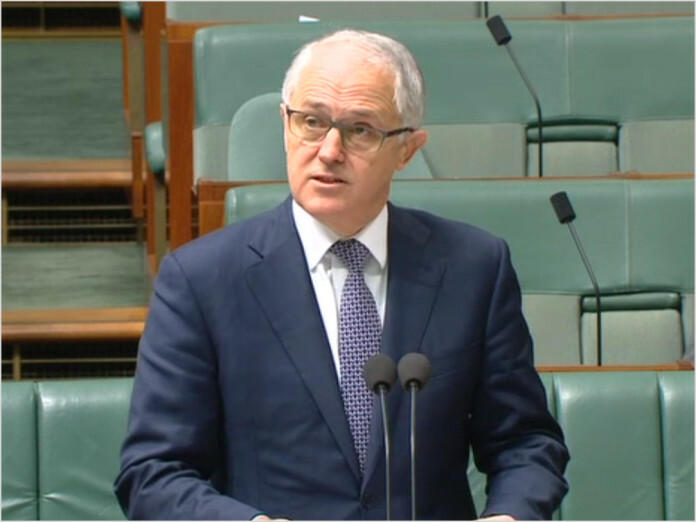 If I am … is Malcolm Turnbull out of his mind? > So is this a good idea? It’s hard to say. No, it’s not hard to say. Using Slack will by-pass the Australian Meta data collection, so Australian bureaucrats and law enforcement agencies can’t leak what he is thinking when he discusses sensitive issues with his cabinet colleagues. So there will be less transparency here. But not to worry. Slack is a US company, that stored everything said, and all files posted on servers living on US soil. The US spooks will have complete access, just like they did or do to Angela Merkel’s phone calls. This is this is the dumbest thing I’ve heard come out of the mouth of a supposedly technically literate person in a while. I reckon Turnbull was simply suggesting a program LIKE slack. After all it’s based on IRC, which is (I believe) completely anonymous. Remember Turnbull appears to know enough about tech, and its probably safe to say a lot of his cabinet, particularly the previous ministers, would not know a Galaxy S6 from an iPhone 6. Informing them of a professional work tool, with a decent brand like slack, would mean they could easily research the concept of slack and come back better informed. No, Turnbull was actually suggesting using Slack. Slack is a great product however this is an incredibly stupid idea given it’s an offshore company. If Slack provided a product that was hosted within the government’s own servers, sure, however there are a shocking amount of ministers who don’t understand computers. Their assistants will love it. Good idea in principle. Curious why he’d advocate Slack over the Australian-owned HipChat though. Something like Slack (but with better security by the sound of things) would be great I think (for voters). It’d help with transparency and FOI audits, and allow the pollies to get answers, thoughts and ideas more quickly. Advocating a US-based cloud-hosted service for government communications is absurd. Someone tell him that Hipchat is owned by an Australian company and permits own server hosting. This has been repeated here a here times. Atlassian is very much an Australian success story. But it’s about Australian as Rupert Murdoch. It’s moved to where the money is now. In a restructuring in 2014 the parent company became Atlassian Corporation Plc of the UK, with registered address in London. It’s now going for a $4B IPO in the US. HipChat’s servers are also based the US, I presume because of the lower bandwidth costs. If you are looking at them from the perspective of keeping internal Australian government communications secure, they are no better than Slack. I don’t know about you, but if I were in charge handling the private communications between Federal government ministers, I would be insisting at the very least it was done by an entity beholden to *and only to* Australian law, was required on pain of taking a holiday at her ministry pleasure to never let the information entrusted to them outside of Australia. Despite all the hype around Slack and HipChat, something very similar can be deployed now using open source XMPP servers that does fulfill these requirements. The eye candy provided by Slack and HipChat is mostly in the client – a much smaller part of the work. The point is this isn’t some devilishly difficult engineering challenge that can only be done by the rare expert with enormous resources. The problem is public service is full of old men that haven’t noticed the world has moved on and thus aren’t even vaguely aware of the problems created by politicians being able to use this new technology while only being capable of judging it on the quality of the eye candy. It’s like letting the preschoolers run the candy shop, without any thought of educating them first. It’s doubly annoying because these old men in our public service aren’t imbeciles, yet this issue is so far beyond their experience they can’t be part of the solution, so they have become part of the problem. They could be part of the solution if there were willing to break out of their comfort zone, and risk putting some effort and work into taking the time to understand with this newfangled world. Someone just needs to put a bomb under their collective arses. http://goo.gl/KFdmyM think George Brandeis and Dyson Heydon, admittedly not in cabinet but a government appointee to high office anyway.